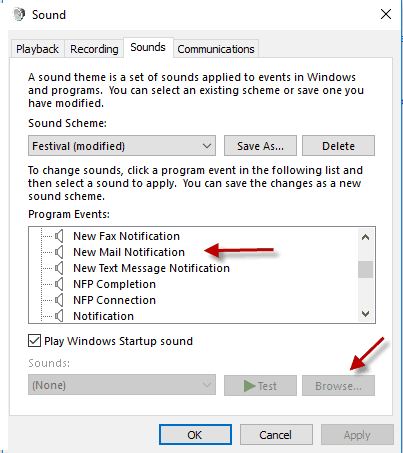 A friend contacted me after spending hours attempting to correct a simple ‘sound file’ issue in Windows 10. 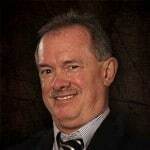 I perceived that the problem would be easy to solve, found some Microsoft Support answers and walked him through the several changes….all to no avail. Although the ultimate solution is simple, it was not as obvious as one might expect, and Microsoft documentation didn’t help as one might hope. So this blog seems worthwhile. I shouldn’t have to point out that you need properly attached and configured speakers or headphones for any sound file to work … though consider this a reminder just in case. 1. Use Windows Explorer to find the full path of the .wav file you wish to associate with incoming messages. 2. Test the .wav file to assure that it is compatible with your system and will play the desired sound. The simplest method is to right (alternate) click the .wav file and select “Play with Windows Media Player”. You may use other solutions like Groove Music player, but media player is the simplest option for a fast test. 4. Copy and paste the .wav file you want to use for notifications to the system files location for use by all users and the system. 5. Close Outlook and make sure that it is NOT running for the next set of steps. (Until the sequence tells you to re-open it). Wait a minute to be sure that all the related processes terminate correctly. If you have you settings empty the Trash before fully exiting, make sure you allow sufficient time for the trash emptying and termination processes to complete as well. 6. You are now going to follow a modified version of the process suggested by Microsoft Support. 8. 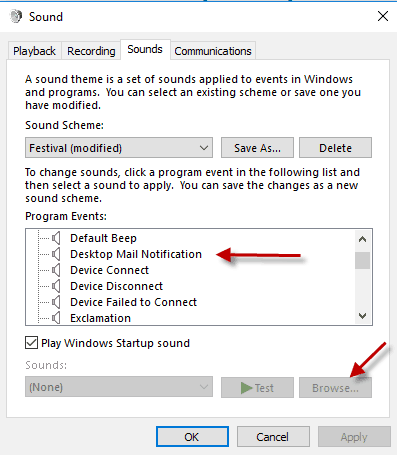 Select the Sound option, and select the Change System sounds link as captured below. 9. Scroll down within Program Events: to find the Desktop Mail Notification. Browse to find the desired .wav file. Make sure that it is show within the Sounds: box. (Test the sound again if you wish to confirm you have the preferred .wav file.) Select Apply. NOTE: If you accidentally select OK just repeat step 8, and then move on to Step 10. 10. Scroll down within Program Events: to find the New Mail Notification. Browse to find the desired .wav file. Make sure that it is show within the Sounds: box. (Test the sound again if you wish to confirm you have the preferred .wav file.) Select OK. You have now made the required changes to system settings. 12. 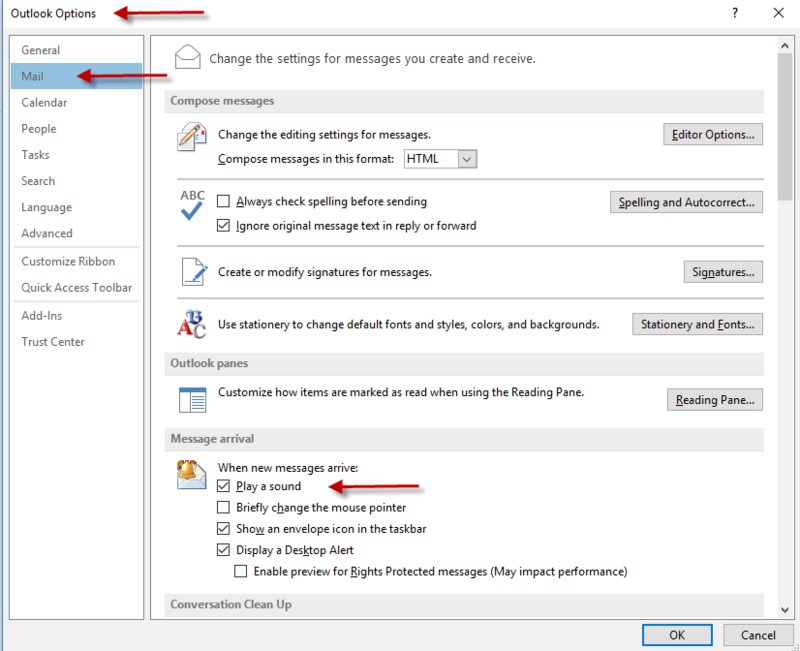 Within Outlook click the File tab. 14. On the Mail tab, under Message Arrival, select or clear the Play a Sound check box. Send yourself a test message, or have someone send you an alternately sourced email to confirm your settings.